While an array or recent controversies have developed from members of Congress around the US’ support of Israel, the fact is America is and was always pro-Israel. This is built on the foundation of early American leaders who understood the significance of Israel based on common Judeo-Christian values and solid biblical imperative. Of course, when the American founding fathers supported Israel, it was not based on the existence of a modern state. They understood that Israel, ie: Jewish people, and the Land of Israel, were inseparably linked. Long before there was ever an Israel-Arab conflict, and when Moslem Ottomans controlled the Land of Israel, the US’s founding fathers aspired to bless Israel and to restore Jewish sovereignty there. It is legendary that minutes after Israel declared independence in 1948, US President Harry Truman was the first to recognize the Jewish state. Since then, America has been solidly pro-Israel. However, according to Ilka Kreimendahl in "Peacemaker USA: The Role of the United States in the Arab-Israeli Conflict in the 1990s," long before Truman, America’s support of Israel was unambiguous. In fact, he notes, the "first pro-Zionist declaration that was ever made by an American president" came from President John Adams. Adams was born in 1735, in a Puritan home. The Puritans saw parallels between themselves breaking away from England and the Jews' exodus from Egypt, wandering into the vast and unknown wilderness and reaching the promised land. The Bible was their guide, and their playbook. They adopted biblical customs and even gave their children Hebrew names. Long before the establishment of the modern State of Israel, Israel was firmly part of US foreign policy. 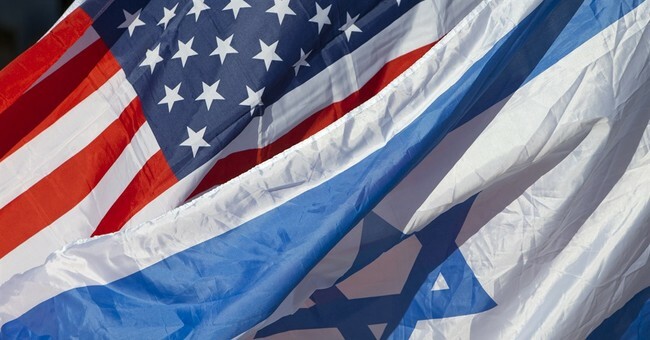 Despite recent anti-Semitic aberrations to this wide support over two centuries, support for Israel remains strong both among political and religious leaders as well as Americans overall. A recent Gallup survey demonstrated this with 69% of Americans having a favorable opinion of Israel. This remains constant over decades. By the time World War II ended, both houses of Congress called for a Jewish state, and both the Democratic and Republican parties had pro-Zionist platforms. Polls then showed Americans supporting a Jewish state two-to-one. Seven decades after its miraculous rebirth and prospering against all odds, there are many more reasons why America supports Israel. Despite all the challenges to its existence, Israel remains the only thriving democracy in the Middle East, ensconcing and protecting the rights of all its citizens uniquely. Israel protects the rights of all regardless of gender, religion, or ethnicity, and guards and protects holy sites for all religions. Christians know that Israel is the only place in the Middle East where Christians can worship openly and freely. This is especially significant considering widespread persecution and even murder of Christians in Moslem countries. Common military interests underscore the fact that America and Israel have common enemies. This is obvious today with Iran leading the world's Islamic extremists that threaten both Israel and the US. Yet, it’s not uniquely recent. It was the same for Mordecai Noah, to whom President Adams wrote in 1819, who served as an American diplomat in northern Africa where he rescued Americans enslaved by Moslem captors.